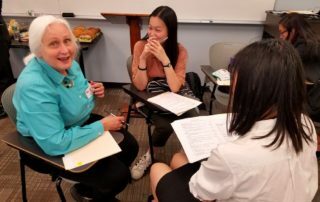 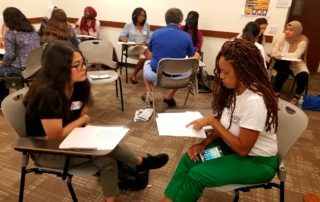 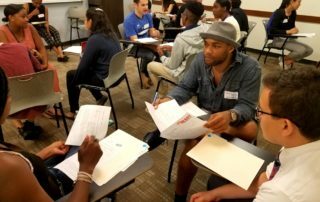 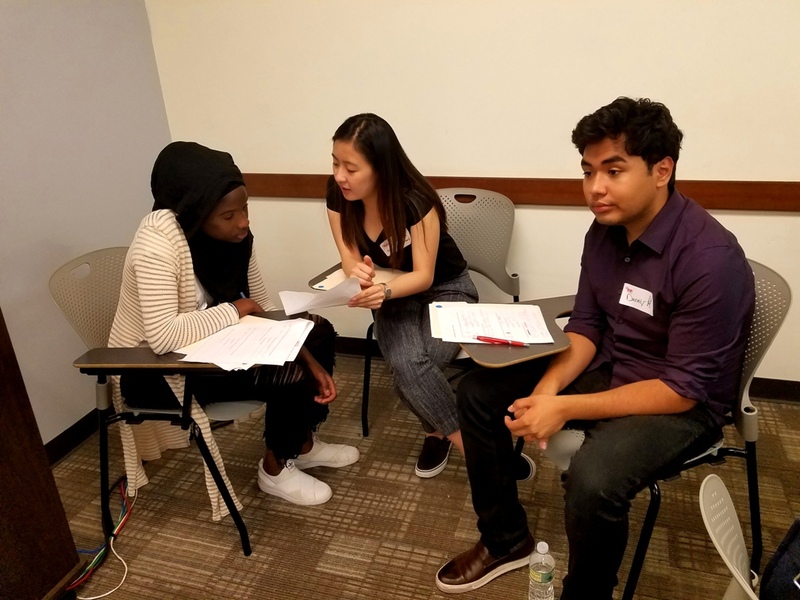 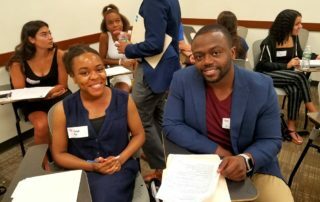 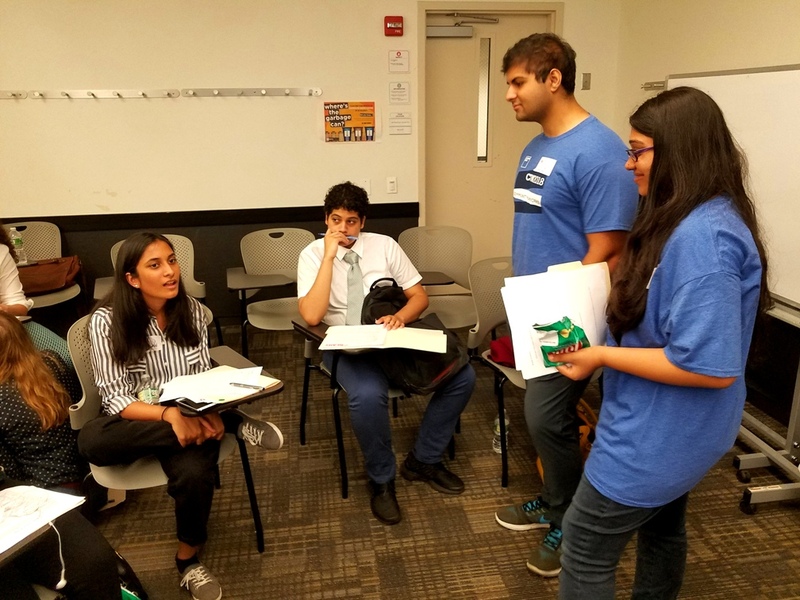 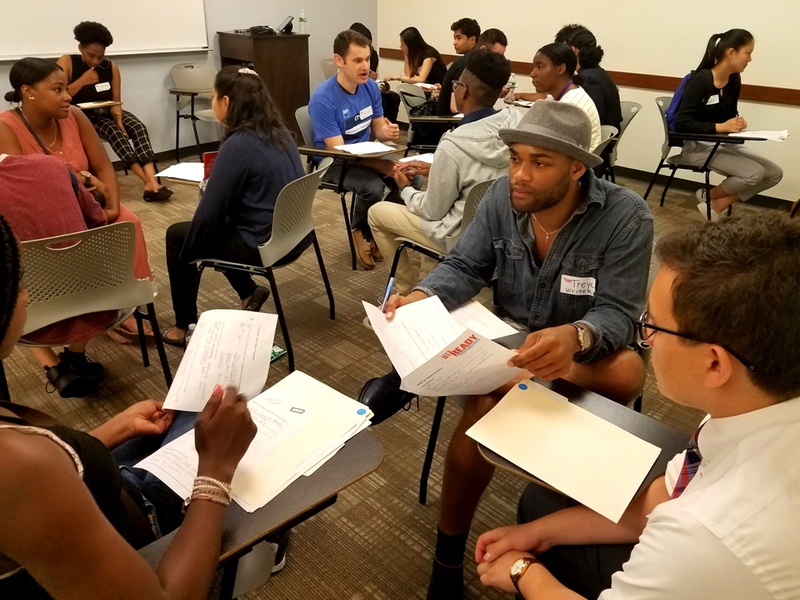 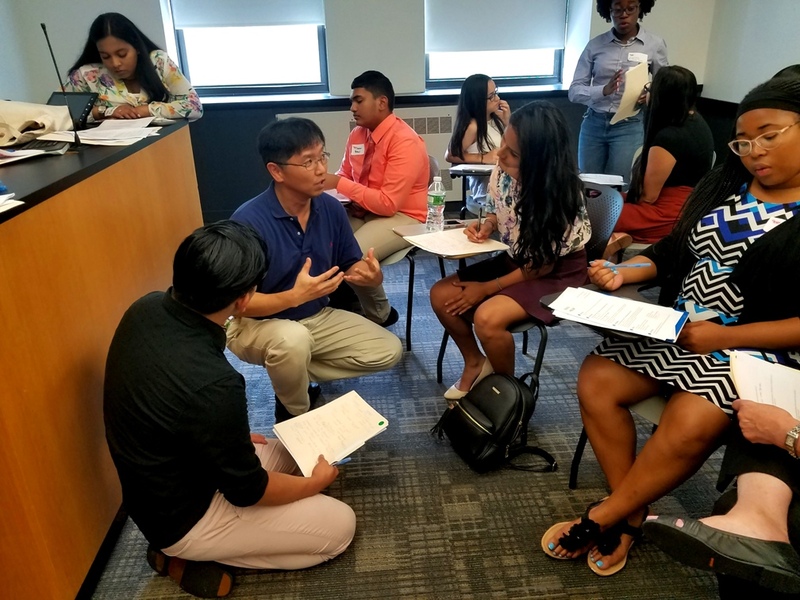 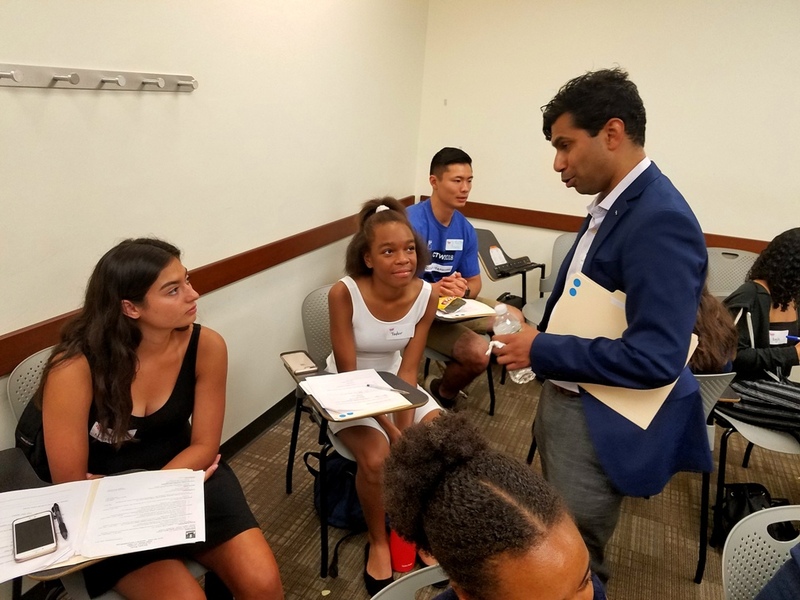 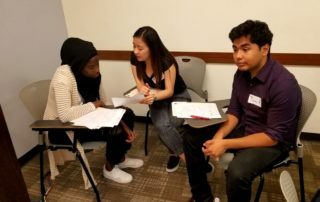 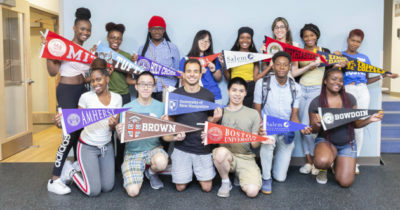 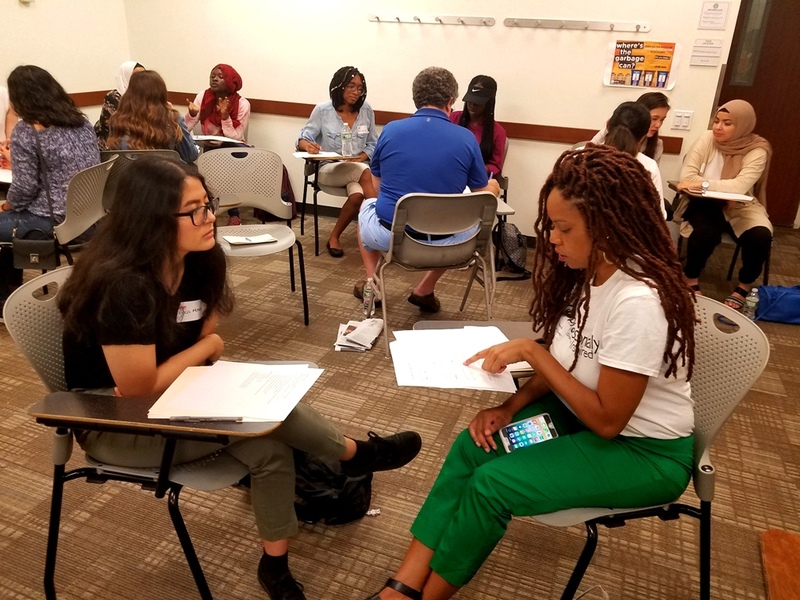 On Saturday, July 28, 100 incoming high school juniors and seniors enrolled in Let’s Get Ready’s College Access Program joined 70 volunteer professionals for Career Day. 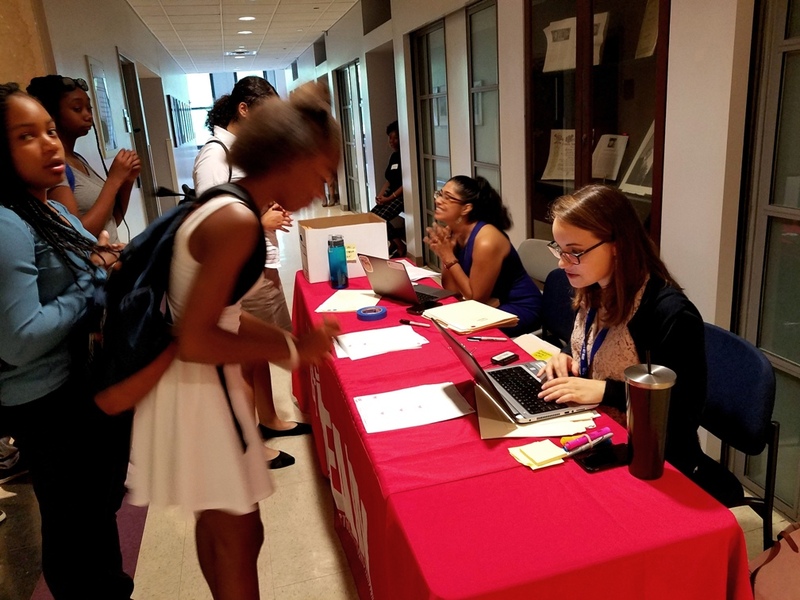 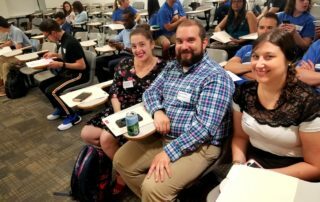 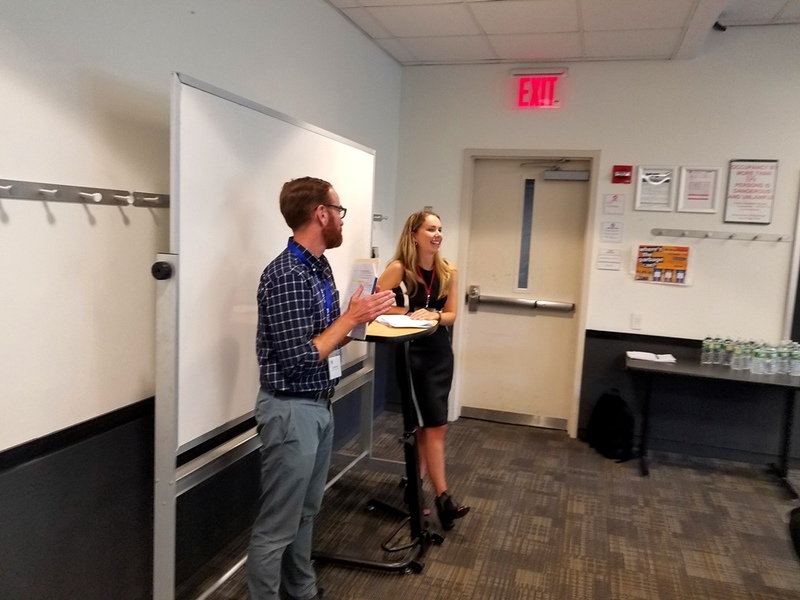 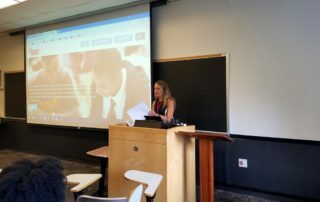 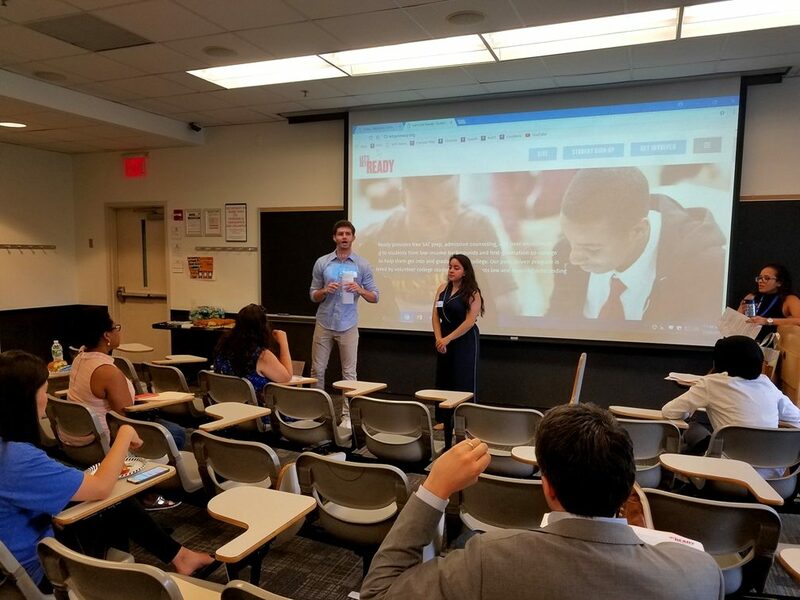 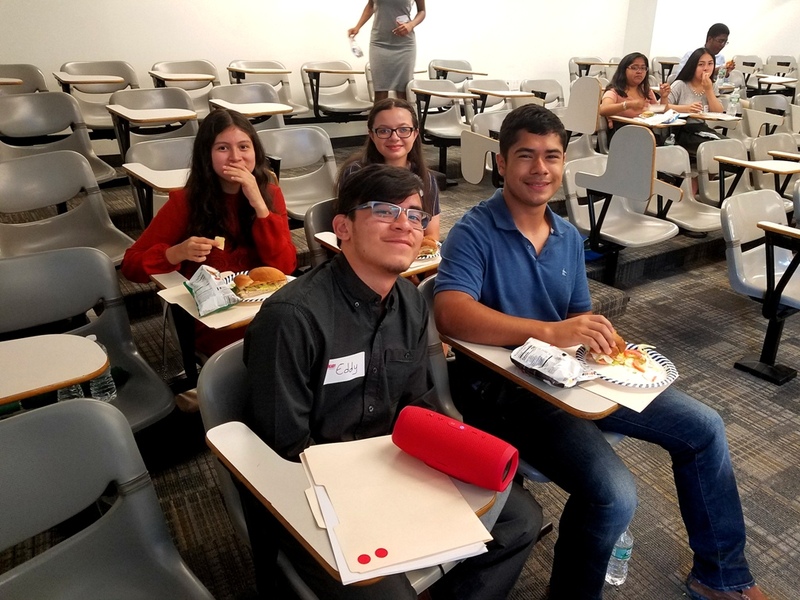 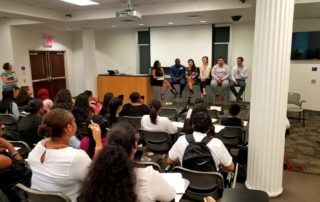 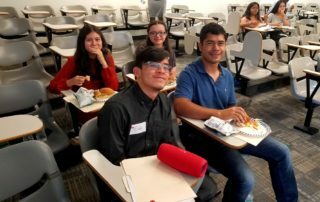 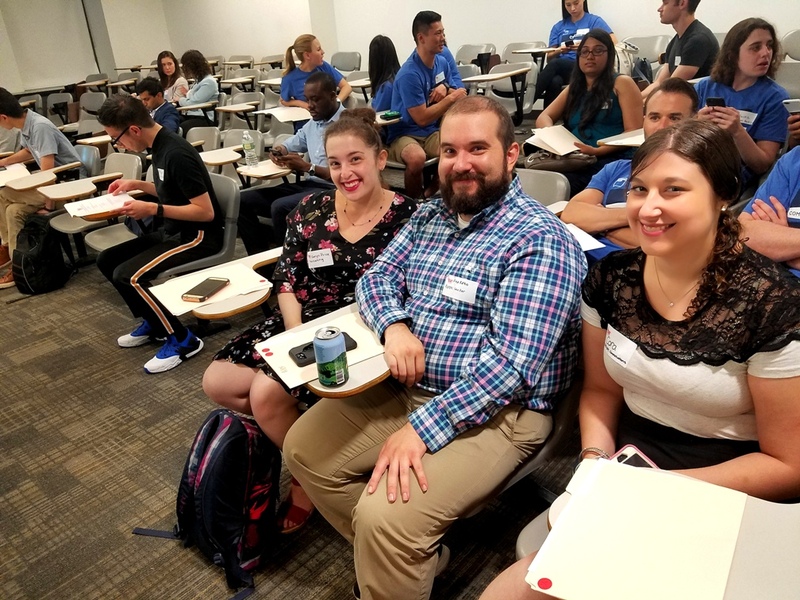 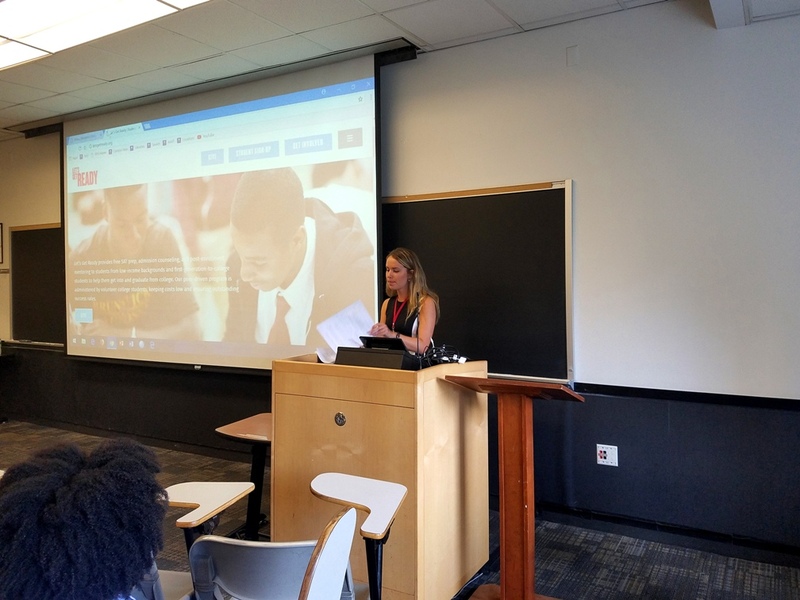 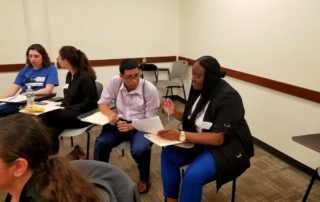 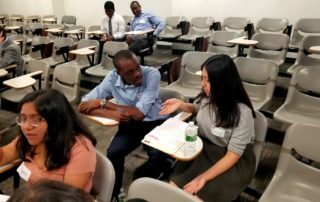 The event was designed to prepare students for their first summer internships as well as what steps to take during college that will lead into their desired careers. 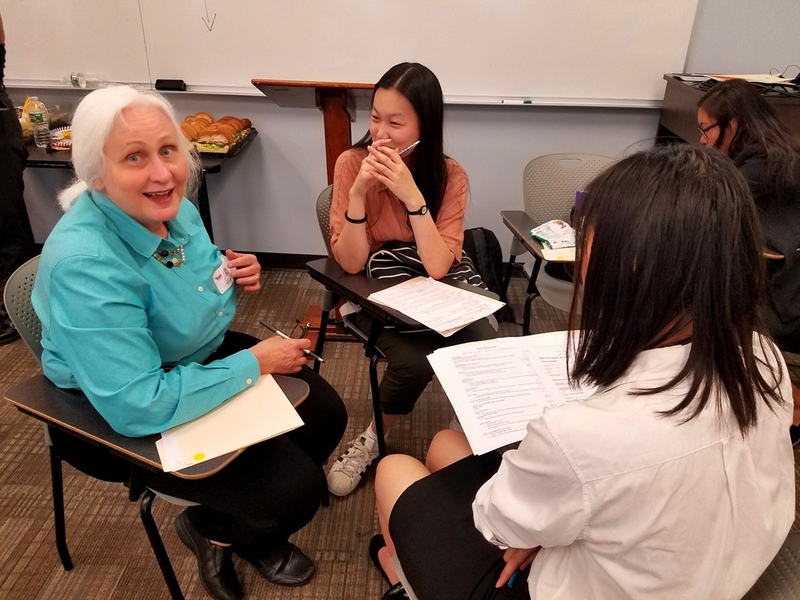 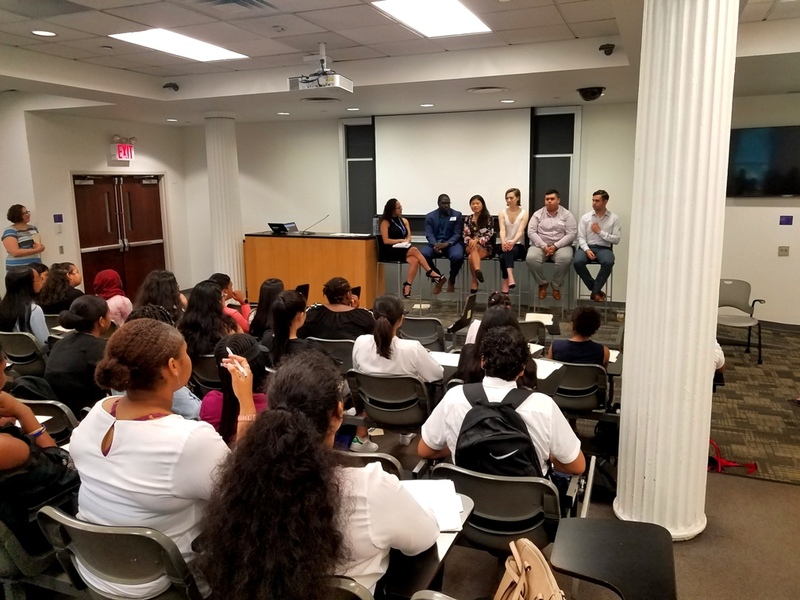 Upon entering the Silver Center at NYU, students were greeted by a panel of current college students, a mix of volunteers and Let’s Get Ready alumni, who prepped them to meet with diverse members of the workforce, and ask questions with their college years in mind. 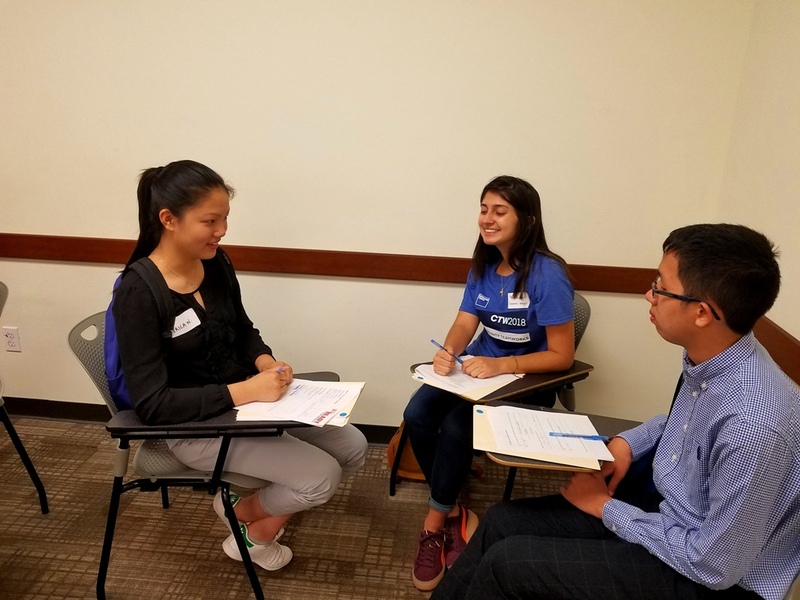 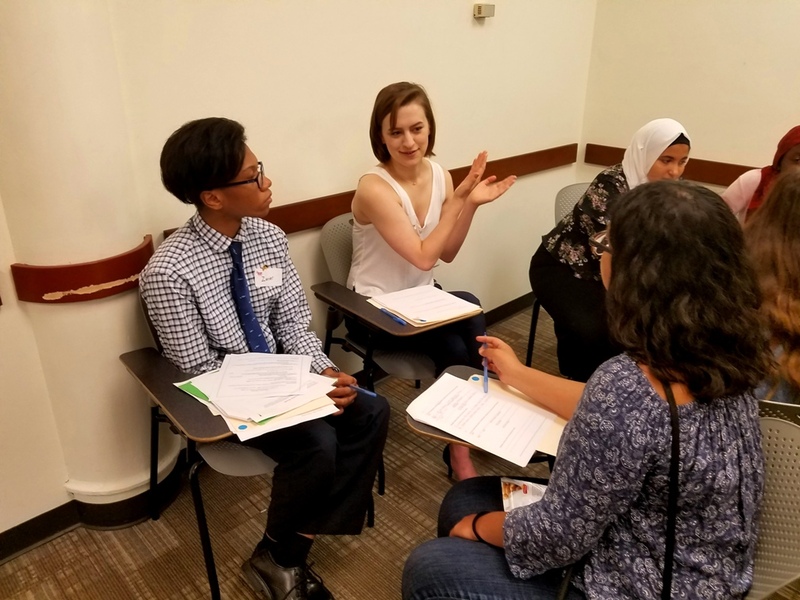 Meanwhile, the volunteer professionals were briefed in another room, and given prompts for their discussions with the students before breaking off to meet with them for a resume-building workshop. 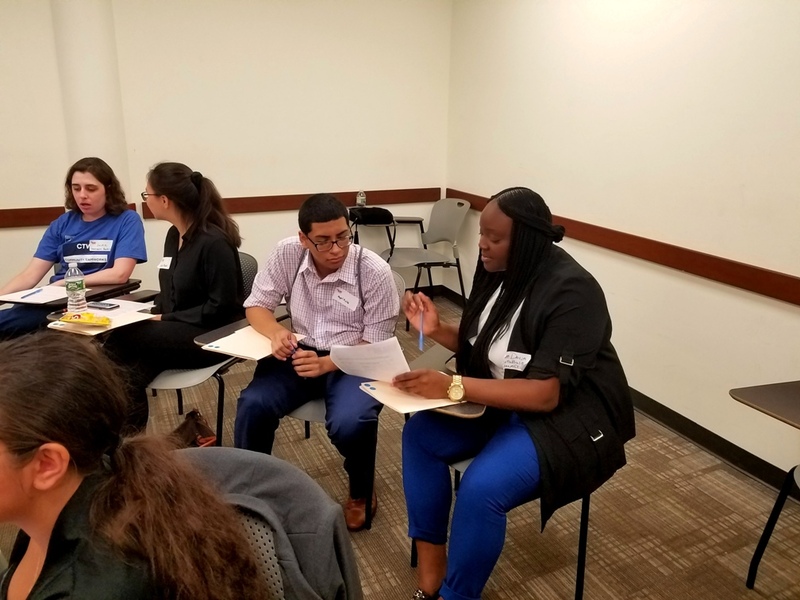 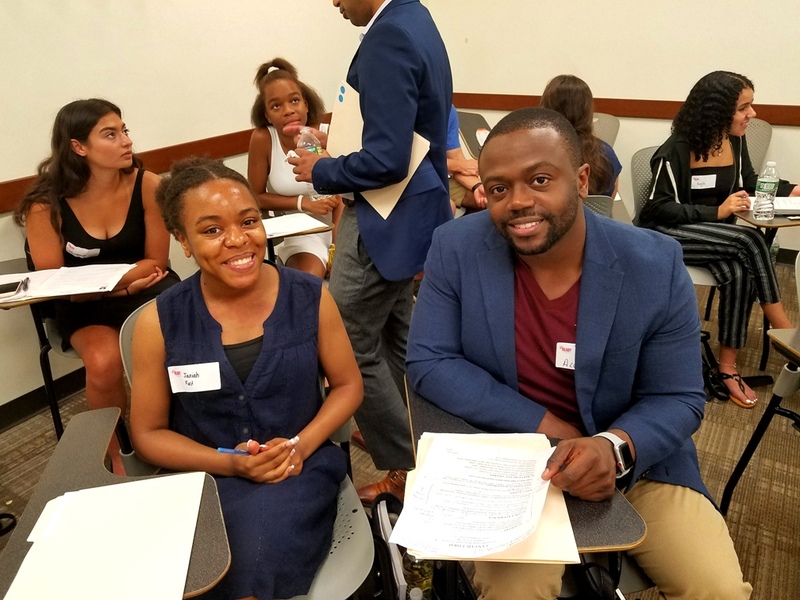 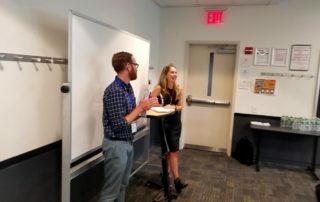 The resume-building exercise, moderated by Let’s Get Ready’s Site Directors, clarified the goals of a resume, and how it differs from other documents, like cover letters. 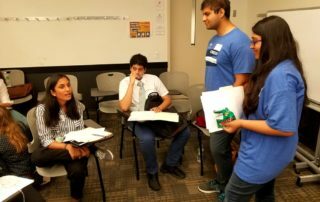 Students and volunteers worked together to build out the skeletons of future resumes based on each student’s skills and goals. 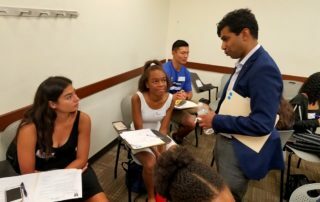 Students that had resumes already were offered constructive critiques. 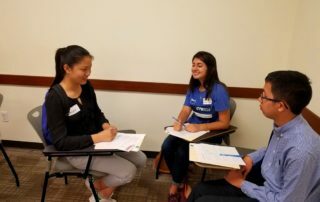 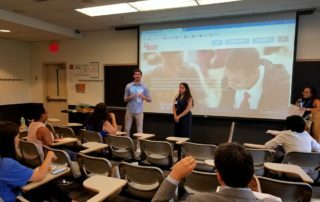 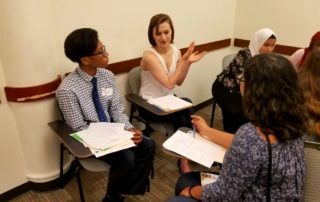 The remainder of the event was dedicated to a “career fair”, where students paired up with volunteers to discuss how to network in college, and the finer points of each career field. 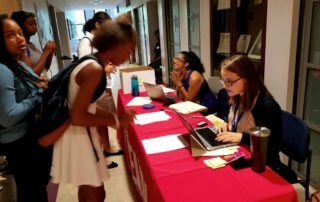 Students, rotating every 15 minutes, could choose to chat with professionals from fine art to finance, engineering to nonprofits. 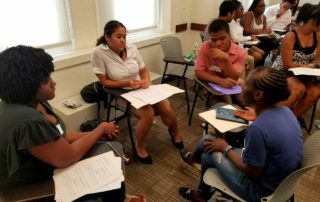 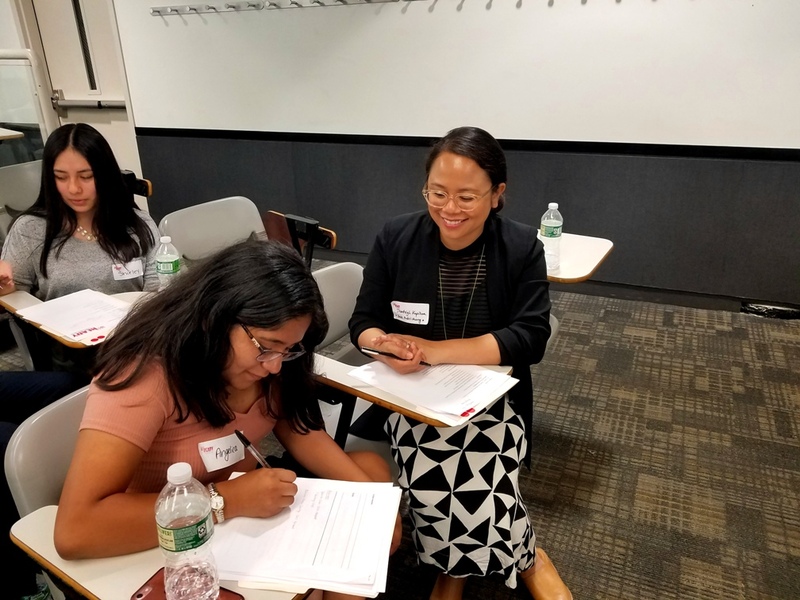 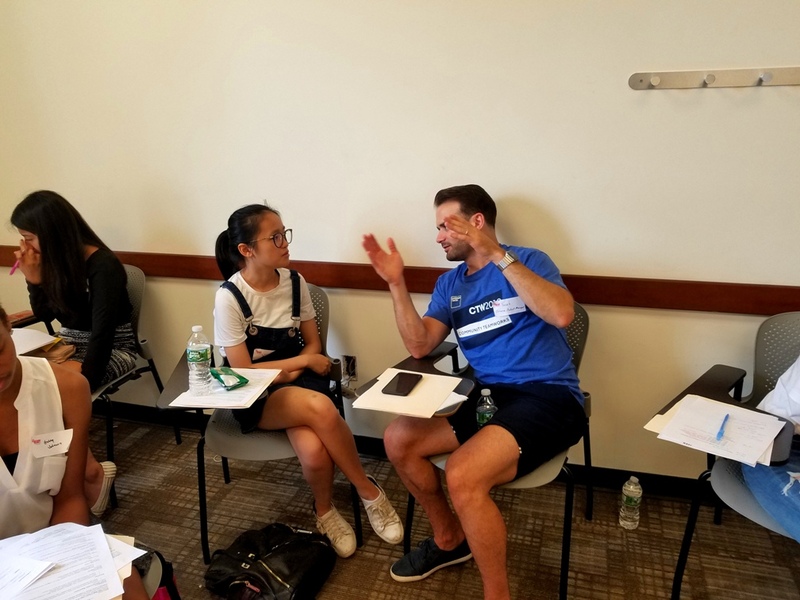 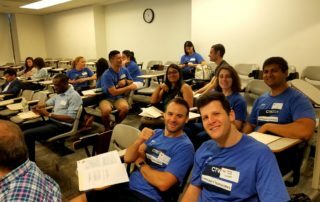 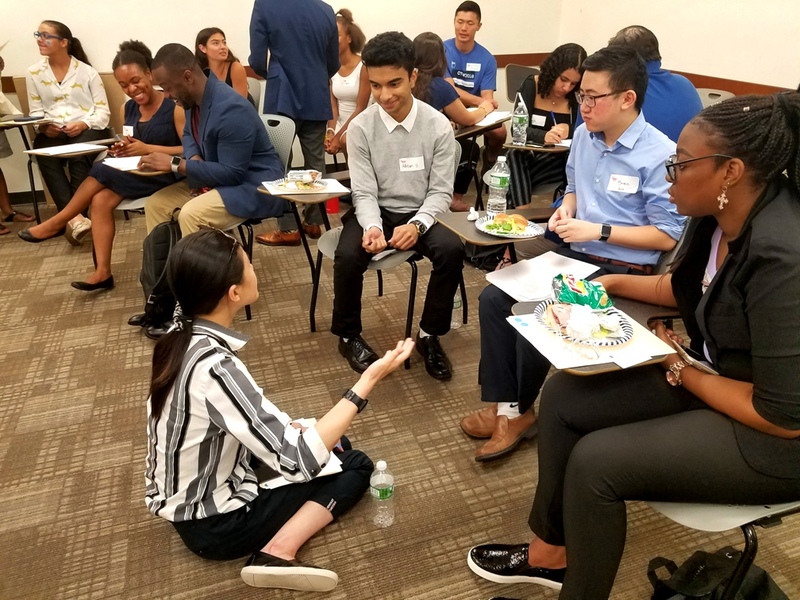 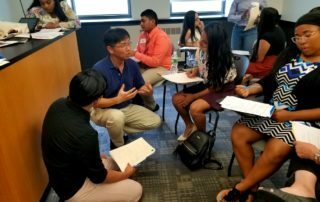 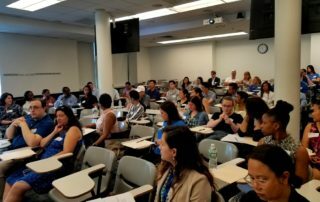 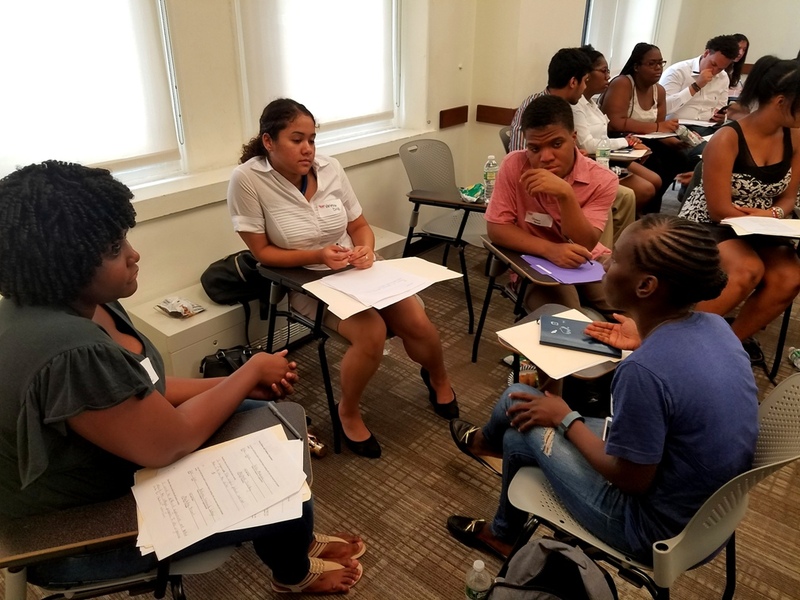 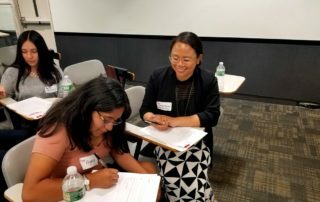 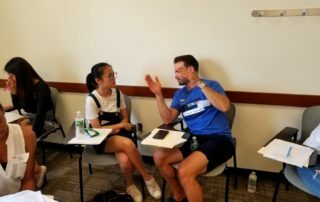 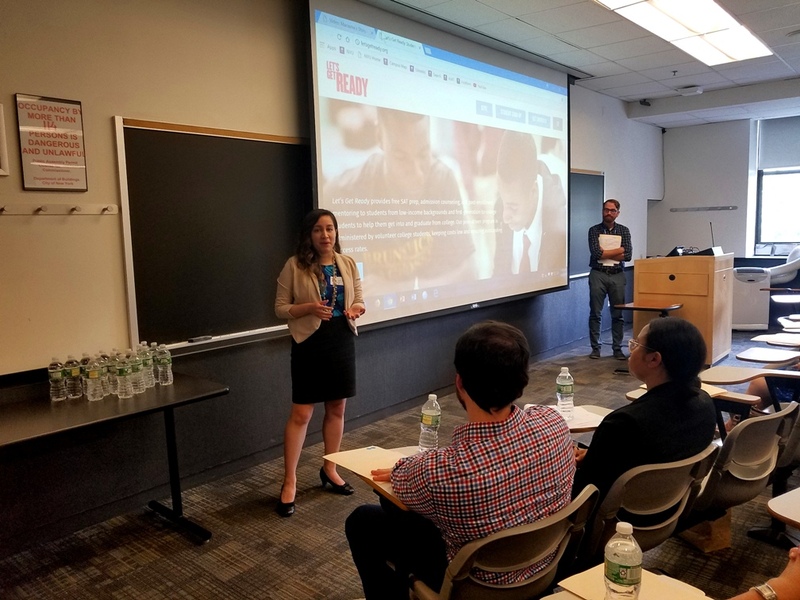 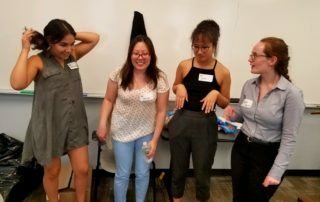 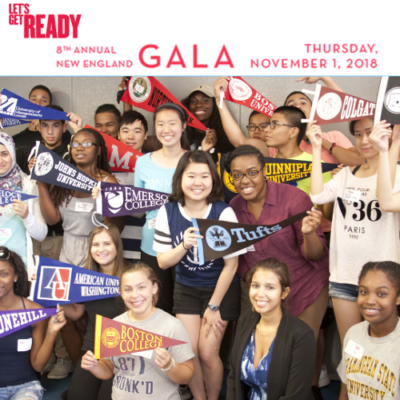 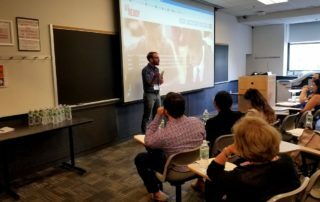 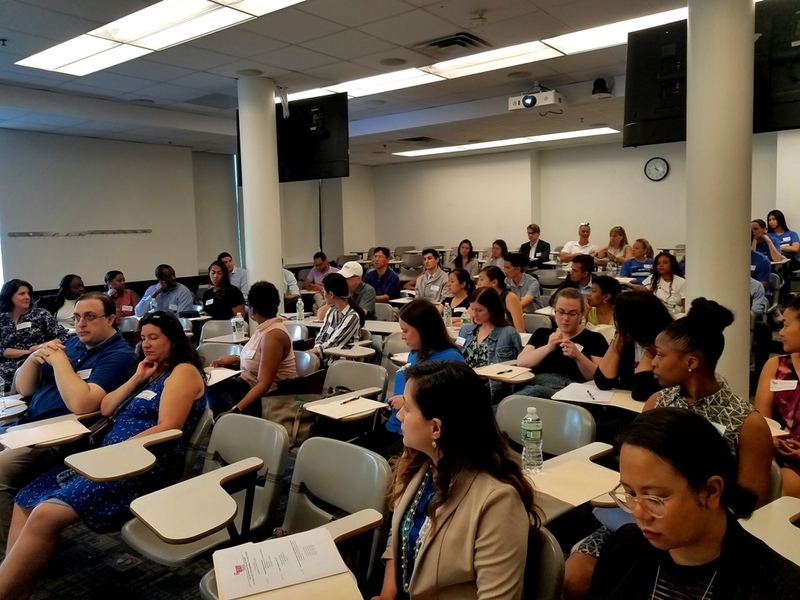 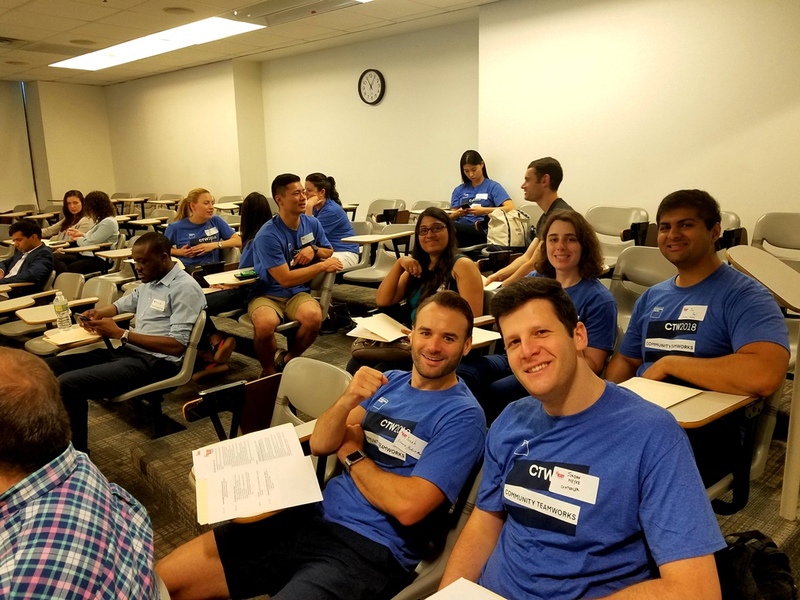 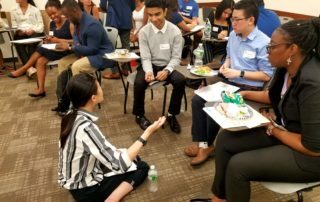 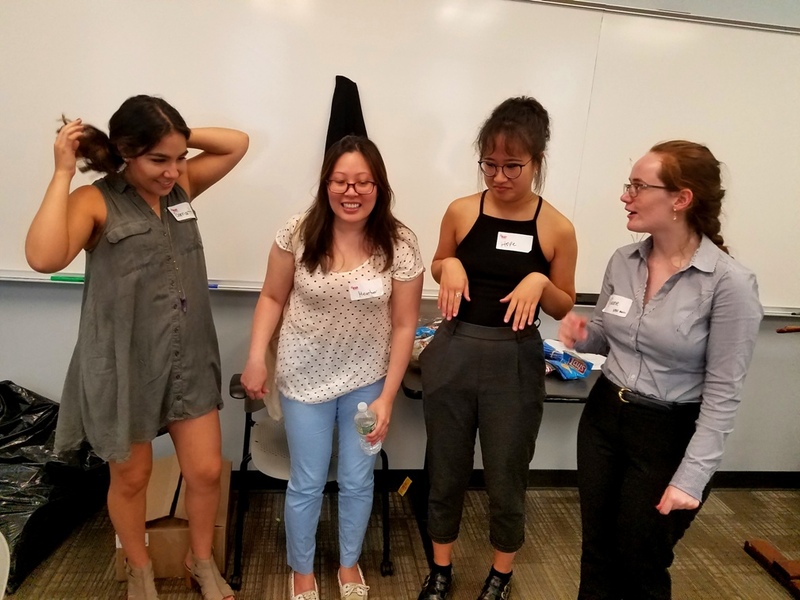 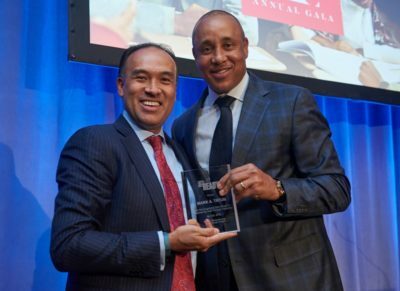 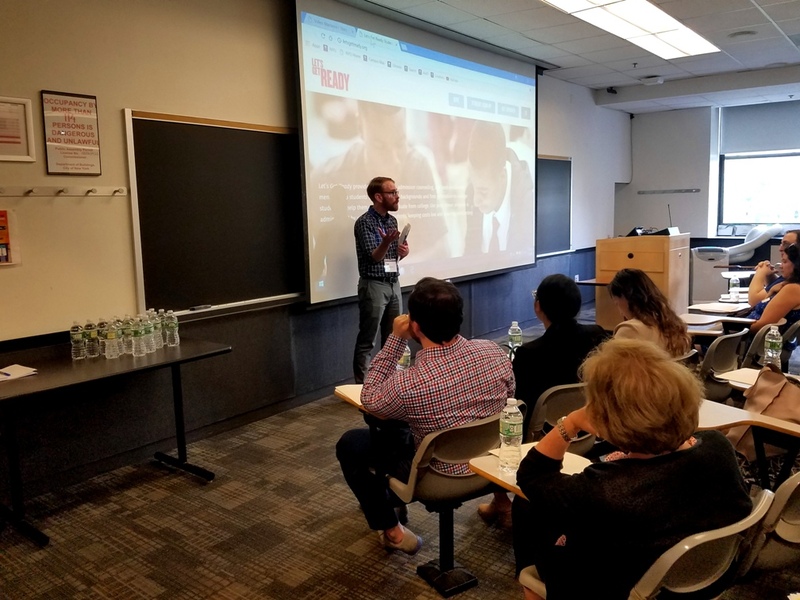 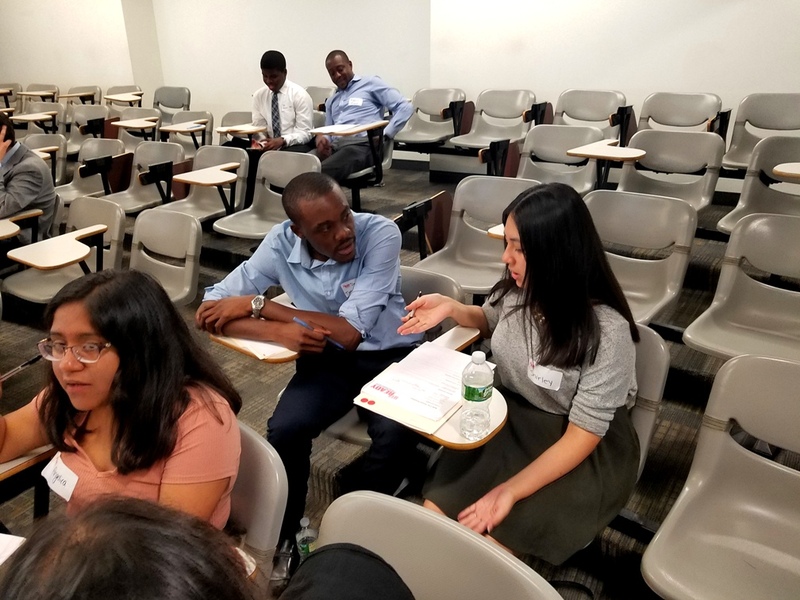 On hand were employees from the Boston Consulting Group, Buzzfeed, Columbia University Teachers College, Facebook, Goldman Sachs (Community Teamworks), Harry’s Razors, MTA, Ogilvy & Mather, Professionally Inspired,Teach For America, and Wgirls to name a few. 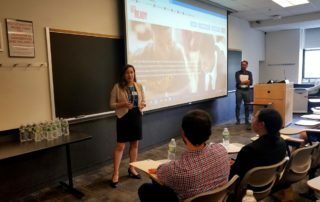 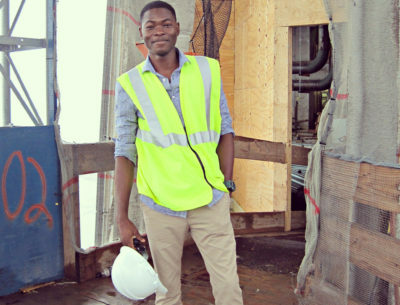 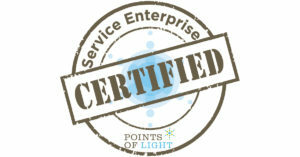 There was also a number of independent entrepreneurs, contractors, and consultants on hand.